If you love squirrels, this "Squirrel Lovin' " shirt is for you. You can get it as a hoodie, too! Available for men, you can buy the shirt here, and the hoodie here. 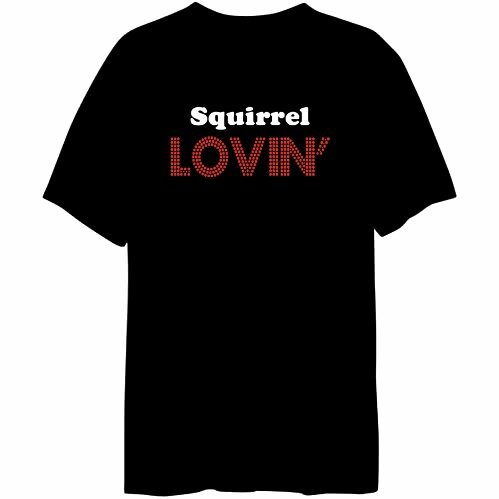 The word LOVIN' in dot printing mimics iconic lightbulb signs really makes this squirrel shirt pop. It's got that retro feel. Express your squirrel affection with this awesome shirt or hoodie.